We live, now, in a world where, at the flick of a switch, we can be bathed in brilliant light. But, for millennia it was not so. We lived in a world lit only by Fire. Huddled in the darkness we looked with awe and supplication to the celestial lamps in the sky. By observation and calculation we learned to predict the movements of these Heavenly Bodies (oft times believing them to be the actual bodies of the gods who bestowed the light upon us). We came to know that there was a cosmic dance and that, magically, in December, out of the depths of darkness, the first light of the rising sun signalled rebirth for the land, the crops and for the people. No matter how dark it gets there is hope, belief, that the light and the warmth it brings will always return. 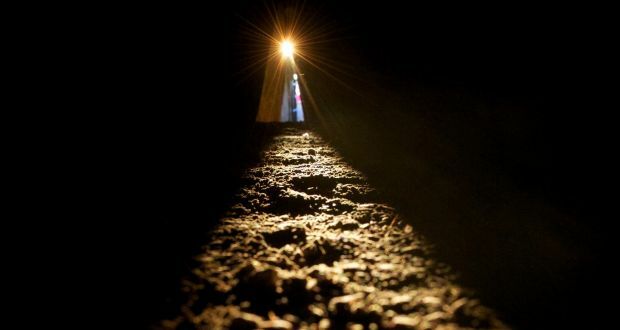 At Newgrange, in Ireland, before Stonehenge or The Pyramids, the Ancients built a stone vault in honour of the return of the light. In this vault, at exactly 8.58am each December 21st, the light penetrates to the furthest reaches where the souls of the dead abide. The light comes once more to the dead. Heaven and Earth are joined once again. In the bleak midwinter the cosmic promise is fulfilled. Though the frosty wind makes moan and earth stands hard as iron and though the snow falls snow on snow on snow there is an end to the bleak midwinter. Shawn Colvin with a tender version of Christina Rossetti’s great Christmas Carol. Shawn lets the Mystery Be. Now, Bert Jansch, has always been able to let the Mystery Be. His plays the guitar in quest of the mysteries we all feel as we look up at those celestial lamps. His genius is to conjure from six strings ancient knowings that cannot be expressed in words. Surely among the tribe at Newgrange there were musicians and singers waiting, with bated breath, for that redemptive first light at all those years ago. If they were able to hear Bert play now they would recognise, at once, a Brother. The Alphabet Series continues on 13/15/17/19 and 21 December.